HONOLULU (HawaiiNewsNow) - A vehicle crash on Puuhale Road and Hau Street knocked power out to approximately 300 nearby customers Wednesday, the Hawaiian Electric Company said, one of which included Hawaii News Now. 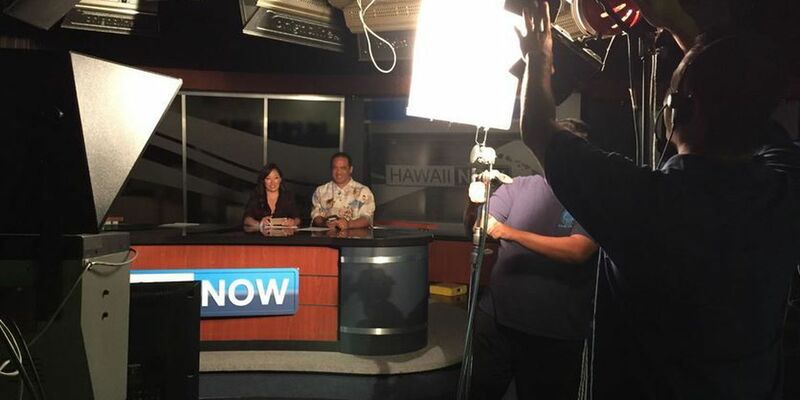 Hawaii News Now Sunrise was in the middle of its 8 o'clock hour on KFVE when the outage -- which cut off lights in the entire building on Waiakamilo Road -- happened. The outage did not affect broadcast operations, so the show proceeded as normal, just without proper lighting. The power was restored at approximately 9:40 a.m., but Honolulu firefighters had to help one woman who was stuck in a stalled elevator. Businesses like Ono Pops were also affected. "The subsequent surge did hurt the electronics on the inside of my ice cream machine, which in waiting for a replacement part from the mainland, may knock me out of business for about a week," said Josh Lanthier-Welch, owner of Ono Pops. However, a large walk-in freezer was cold enough to save thousands of popsicles.